Even the experts are baffled. Legally registered Three-Self Patriotic churches are under attack while the illegal House churches are invited into official dialogue. Is China heading for another Mao-era persecution or opening up to an era of religious freedom? Starting with the demolition of San Jiang Church in April 2014, over 1,200–1,500 crosses have been removed and dozens of churches demolished in Wenzhou city. One conjecture is that someone in the central government is testing the strength of the Three-Self church in the populous Christian Wenzhou region in preparation for a nationwide campaign to ‘indigenize’ Christianity with Chinese characteristics. Another plausible explanation is internal politics. The simplest explanation is that China overall is moving toward conservative Neo-Maoist ideology. With the popularity of Christianity growing, leftist forces in the central government are seeking to limit its growth. Despite the attacks, the Three-Self church has in fact been strengthened by them, and for the first time, House church leaders have crossed the divide to stand beside their former adversaries. Meanwhile, President Xi Jinping’s National Security Commission in June 2015 met a group of nationally recognized House church leaders in Beijing—the first such event in Communist China’s history. A convincing explanation could be pragmatism: Xi needs to find a way to provide recognition for millions of Chinese citizens. Pessimists, on the other hand, would see Beijing luring House church leaders in order to bring them under government control. Persecution: Three-self and House churches come under attack in a national campaign. Status quo: House church remains illegal and operates as usual under pressure. Legal status: House church becomes legal within limits and with pressures. Separation of church and state: Least likely and potential to be most dangerous for the church. Scenario #3 is the most likely as well as the most favorable for the church since freedom within limits provides enough operating space to expand, along with some pressure to keep the church sharp. House church legalization would be hotly debated. Differences between registered and unregistered House churches could divide the church for another generation. Many would caution against advocating toward moving to a freer society. The global church often idolizes the church in China as a model of Christianity flourishing under difficult circumstances. However, China would more likely follow another model, similar to South Korea in the 1970s to 1990s. Legal status would have many benefits. One of the most significant is that a legal environment increases the scope to develop effective sending structures for sending missionaries abroad. The Three-Self and House church divide would slowly diminish and true reconciliation would begin. A freer religious market would shut down Three-Self churches which have relied on government support while healthy Three-Self churches would continue to grow. In preparation for the eventual legal status of the House church, we must remember that the evangelization of China should be the primary responsibility of the Chinese. Missions strategies should focus on seeking supporting roles in partnerships with indigenous churches. Any foreign involvement could still be seen as meddling in domestic affairs. The Chinese church must learn from the lessons and mistakes of the Western and Korean missions movements. It needs the global church, but Chinese church leaders are also watching to see who are sending missionaries. Chinese leaders have asked why mega-churches and ‘missional’ churches in the West are not sending any missionaries. As the country apparently moves in a Neo-Maoist nationalistic direction, we can expect more bad news to come. However, God is answering the prayers of the global church for China and its leaders. Good news is on the horizon because a God-timed spiritual working appears to be taking place in the hearts of some of China’s top leaders. It does not make sense in this current political environment, but is God preparing China’s role in global missions? Even the experts are baffled. Legally registered Three-Self Patriotic churches are under attack while the illegal house churches are invited into official dialogue. Is China heading for another Mao-era persecution or opening up to an era of religious freedom? With conflicting signals seen across a range of other social, economic, and political issues, times are confusing and nothing is certain. However, there is reason for optimism. The gospel is alive and something is about to happen. Starting with the demolition of San Jiang Church in April 2014, Communist party Secretary Xia Baolong of Zhejiang province began attacking primarily Three-Self Protestant and Catholic Patriotic churches. Over 1,200–1,500 crosses have been removed and dozens of churches demolished in Wenzhou city, called the ‘Jerusalem of the East’.1 Church attacks intensified in July 2015 with the burning of crosses on top of church buildings. Christian Lawyer Zhang Kai has been arrested and is missing along with 20 church leaders and activists. Why would Beijing allow attacks on the Three-Self churches? One conjecture is that someone in the central government is testing the strength of the Three-Self church in the populous Christian Wenzhou region in preparation for a nationwide campaign to ‘indigenize’ Christianity with Chinese characteristics.3 Three-Self churches with huge buildings and highly visible red crosses appear to resemble Western cathedrals, in contrast to the less visible ‘indigenous’ House church Christianity which some officials may feel is more appropriate for China. Another plausible explanation is internal politics. Xi is reforming the government to purge it of corruption and inefficiencies. Allowing the attacks to continue provides the central government opportunities for the reorganization of the United Front, State Administration of Religious Affairs, and the Three-Self Patriotic Movement. The simplest explanation is that China overall is moving toward conservative Neo-Maoist ideology. An emerging leftist movement with nostalgia for Mao and a renewed nationalism is resisting liberals who are perceived as holding anti-China views of democracy, pluralism, and a free society associated with a Western-dominated world order. Christians have appeared to align themselves with the liberals.4 With the popularity of Christianity growing, leftist forces in the central government are supporting a conservative provincial official in limiting the growth of Christianity. Despite the attacks, the Three-Self church has in fact been strengthened by them. Stories of heroism among Three-Self believers strapping themselves to crosses as hundreds of police descend to attack have even moved House church believers. Several urban House church leaders signed a petition in support of the Three-Self church in Zhejiang. For the first time, House church leaders have crossed the divide to stand beside their former adversaries. Why would Xi open a dialogue with House church Christians? If these statements truly reflect the views of the top leadership in the central government, then this recent dialogue can only be described as a spiritual breakthrough answering decades of faithful prayers for China. Even under the worst-case scenario #1, persecution would serve to strengthen and deepen the church, preparing for the church to surface another day. A free scenario #4 would be wonderful, but could also be detrimental due to the challenges of materialism and consumerism. House church legalization would be hotly debated. While many urban churches and large rural networks would welcome this new openness, a good number of traditional House churches having experienced persecution would opt to remain hidden. Any involvement with the government is seen as compromising. Differences between the registered and unregistered House churches could divide the church for another generation. Many would caution against advocating toward moving to a freer society. The global church often idolizes the church in China as a model of Christianity flourishing under difficult circumstances, attributing the decline of the Western Christianity to too much freedom. However, China would more likely follow another model, similar to South Korea in the 1970s to 1990s. Former persecution and sufferings produced a deep spirituality, preparing Korea for fast-paced church growth in a growing economy and a missions movement sending 26,766 missionaries abroad in 2014. House churches could rent or purchase facilities with legal protection. Underground seminaries would surface to train up future leaders. Sunday schools, youth groups, student and young adult ministries, family, marriage and counseling ministries, and church publications could mature. Christians could engage more openly in neighborhood community outreach, and in social concerns for the poor and elderly. Local NGOs, orphanages, and poverty and disaster relief with Christian witness would have more legal space to develop. One of the most significant benefits is China’s future involvement in global missions.6 At the Mission China 2030 conference in Hong Kong in September 2015, 850 House church leaders and young people gathered around a visionary goal ‘to send 20,000 missionaries by the year 2030’.7 A legal environment increases the scope to develop effective sending structures for sending missionaries abroad. The Three-Self and House church divide would slowly diminish and true reconciliation would begin. Another likely outcome could be the transformation of the Three-Self Patriotic Movement churches to become more like their House church counterparts: truly Three-Self in being self-governing, self-supporting, and self-propagating. A freer religious market would shut down Three-Self churches which have relied on government support and directives while healthy Three-Self churches would continue to grow. Many factors on the horizon could militate against Christianity in China. Xi’s battle with government corruption and the recent nerves over the slowdown to a new lower economic growth rate of 6.5% could cause domestic unrest or uneasiness for the foreseeable future. Nationalism and a desire for a stronger military continue to grow. Anti-American sentiment is also on the rise with the recent military frictions in the South China Sea. If Taiwan’s elections continue the country down a more independent path (as polls suggest) and Republicans win the White House in 2016, the United States and China could be heading toward a collision which could have a negative effect on the church. The evangelization of China should be the primary responsibility of the Chinese. Missions strategies should focus on seeking supporting roles in partnerships with indigenous churches. As House church leaders become legal, security concerns will be a lesser concern but any foreign involvement could be seen as meddling in domestic affairs. Legal recognition of the House church opens the door for more specialized and professional ministries to flourish. Local churches will be developing their own specialized ministries along with para-church organizations. China must adopt a learning posture in world missions. China must learn from the lessons and mistakes of the Western and Korean missions movements. The size of China’s influence alone could either greatly enhance or cause great damage to the gospel. In the area of overseas cross-cultural missions, the Chinese church needs the global church. We must be willing to sacrifice and go ourselves. Chinese church leaders are watching to see who are sending missionaries. Chinese leaders have asked why mega-churches and ‘missional’ churches in the West8 are not sending any missionaries and wondered what can be learned from such shallow faith. China’s complexities continue to confuse the global church. As the country apparently moves in a Neo-Maoist nationalistic direction, we can expect more bad news to come. Only time will tell, but hope is on the way. This is not because of pragmatism or signs of more favorable political conditions for the legal status of the House church. God is answering the prayers of the global church for China and its leaders. Good news is on the horizon because a God-timed spiritual working appears to be taking place in the hearts of some of China’s top leaders. It does not make sense in this current political environment, but is God preparing China’s role in global missions? 1 Editor’s Note: See ‘China’s Churches: Growing influence and official wariness present twin challenges’ by Thomas Harvey, Paul Huoshui, and David Ro in the July 2014 issue of Lausanne Global Analysis. 2 The closed-door meetings between officials and House church leaders were held on 16-18 June 2015 at a Beijing hotel. Officials gave House church leaders permission to release this news publicly during President Xi’s visit to the US in September 2015. 4 China’s ideological rivals Neo-Maoist, Neo-Confucius, Liberals, and Christian academics came together to produce the ‘Oxford Consensus’ in August 2013. See ‘Christian Faith and Current Ideological Trends in China: The implications of the “Oxford Consensus”’ in the November 2013 issue of Lausanne Global Analysis. 5 Rev Tianming Jin, ‘City on a Hill’. 6 David Ro, ‘The Rising Missions Movement in China (the World’s New Number 1 Economy) and How to Support It’, Lausanne Global Analysis, May 2015, http://www.lausanne.org/content/lga/2015-05/the-rising-missions-movement-in-china-the-worlds-new-number-1-economy-and-how-to-support-it. 7 ‘Nine Hundred from Mainland China Participate in Inaugural Mission China 2030 Conference’, Lausanne Movement, 26 October 2015, http://www.lausanne.org/news-releases/inaugural-mission-china-2030-conference. 8 Ed Stetzer, ‘Five Reasons Missional Churches Don’t Do Global Missions’, Christianity Today, 24 September 2009, http://www.christianitytoday.com/edstetzer/2009/september/five-reasons-missional-churches-dont-do-global-missions.html. 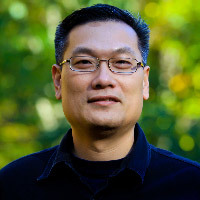 David Ro serves as the Director for the Christy Wilson Center for World Missions at Gordon-Conwell Theological Seminary, and as Regional Director for the Lausanne Movement in East Asia. He holds master’s degrees from Gordon-Conwell Theological Seminary and Peking University, and is a PhD candidate at the Oxford Centre for Mission Studies.